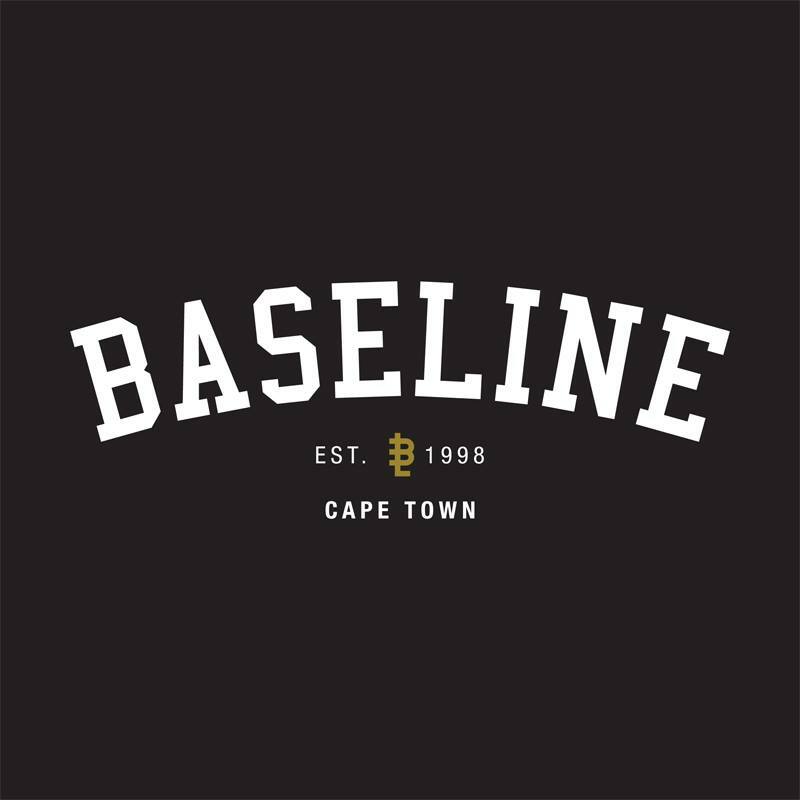 American artist and skateboarder Tahiti Pehrson is currently in Cape Town preparing for his art show next week and skating with the crew from Baseline Skate Shop. 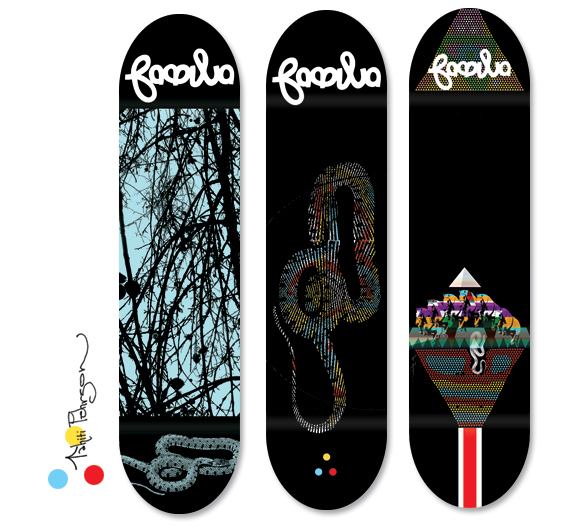 You may remember his name from the board series he did for Familia Skateboards a few years back. Opening Night Wednesday 26 February 2014 at 18h30. The exhibition concludes Sat 22/3/2014 at 2pm. For as long as I can remember I have used art to define and document my experiences. We all start that way, some of us stop doing it at some point for better suited tools of expression. The inexactness of outcome always suited me and yet my work has evolved more and more towards exactness. In the process of cutting more and more detailed works I started to become aware of variation and indeed of repetition. Each shape morphing from square to diamond to triangle, and each variation leading to the next, all forming a larger fabric and pattern. A system connected. Our world is often defined by our differences rather than the reality of parts of a whole. I became interested in the things that make us the same. Even if art is reduced only to a visual experience, trying to create an experience that could both inspire and suggest a wide variety of narratives. The viewer is invited to tailor his/her own experience, and thus engaging personally. A person of faith may read and interpret religious or spiritual implications while a more scientifically minded individual could see Geometry yet both narratives describe a larger system encompassing a whole. There is a tension, which exists between the apparent fragility of the medium played against the strength of connectivity in a radiant fabric of variation. Tahiti Pehrson spent his early years without electricity growing up in a bohemian artist household in Northern California. Art was a mode of entertainment without television or music and long hours were spent in nature and drawing. Influenced by the burgeoning skateboarding and punk scene of the mid Nineteen-eighties and later engaging in the San Francisco street art and graffiti culture of the late Nineties. Traveling Europe and China in search of art enrichment and later attending the San Francisco Art Institute as a painting major, Pehrson left after a year and a half. A practice of stencil-making and street art evolved into a more and more detailed practice of paper cutting two and three-dimensional works. Pehrson has been working and exhibiting in hand cut paper for the last fifteen years. Over the last five plus years his works have concentrated on highly detailed geometric patterns called Guilloche which date back to Classical Greek and Roman times, later to be perfected by the Rose Engine Lathe in France in the late 1700’s. Today these patterns can be seen on almost every currency in the world as well as hub cups watches and also seem to touch on the design sense intrinsic to nature. These highly detailed monochromatic works create with light and shadow a hypnotic field of Moire patterning. With many intersections creating a larger fabric, themes in the work center around Connectivity, Systems, Variation and fragility. The start of 2014 sees Pehrson being incredibly prolific with three solo shows on the horizon, two of which will take place in February, one in Cape Town at Salon91 of course, and another at the Mouki Gallery in London, and the third during March at the San Jose Institute of Contemporary Art, San Jose, California. Tahiti Pehrson’s work will also be on view at the Salon91 space at the Cape Town Art Fair 2014 towards the end of February.